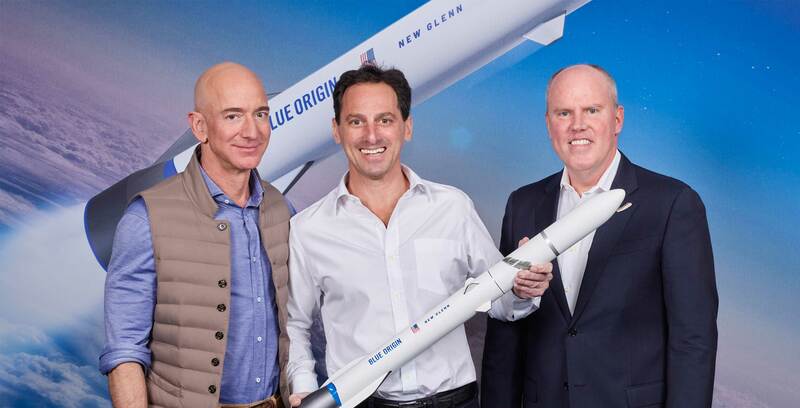 Canadian satellite communications company Telesat has signed a deal with Jeff Bezos’ aerospace company Blue Origin to launch parts of its satellite constellation. Blue Origin states that over the next few years it’s launching multiple Telsat satellites to help complete the LEO satellite constellation. LEO will bring high-speed “fiber-like broadband services anywhere on Earth,” reads Blue Origin’s press release. Telesat chose Blue Origin because its New Glenn rocket has “twice the payload volume of any other launch provider,” reads the Blue Origin press release. Further, the Canadian space company says that launching with Blue Origin brings significant cost savings to its program. “Telesat LEO will help satisfy many of the world’s most challenging communications requirements. It will accelerate 5G expansion, bridge the digital divide with fiber-like high-speed services into rural and remote communities, and set new levels of performance for commercial and government connectivity…” reads Telesat’s press release. The Canadian satellite company is also said to be working with Alphabet’s Project Loon to build a network to control the constellation, according to Reuters.